A mother went through 16 miscarriages before having her 'miracle baby.' But sadly, her daughter died after a bout of meningitis. Losing a child from a miscarriage is such a terrible thing. But for this mother who suffered 16 miscarriages before successfully giving birth, losing her 15-month-old baby to meningitis was beyond tragic. Baby Fleur-Rose Allen was born two-and-a-half months premature. 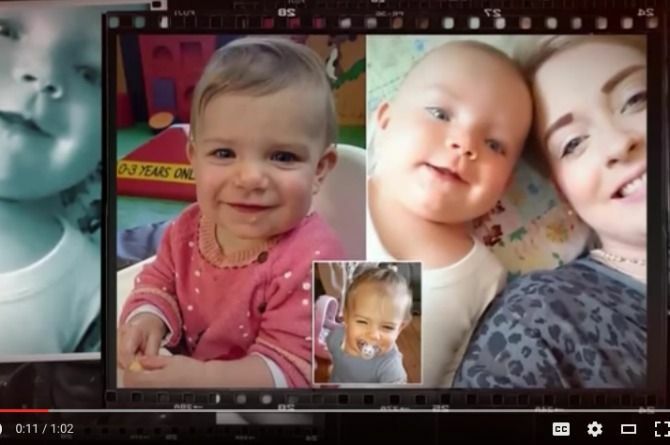 However, she was still a blessing to her family as her mother, Lizzie Allen, suffered 16 miscarriages over the span of 6 years before giving birth to her. Sadly, their joy was short-lived. Her mother initially thought that she had a fever so she gave her calpol. When her fever failed to go down, they immediately rushed her to the hospital for treatment. Her mother then noticed a small rash on her baby’s neck, which was a sign of meningitis. Doctors immediately gave her antibiotics to combat the meningitis, but sadly she died within five hours after suffering four cardiac arrests. Despite her loss, Lizzie is doing her best to not let her daughter die in vain. She has raised over £12,000 for Meningitis Now in Baby Fleur-Rose’s name. ‘I want people to remember her,” she shares. Since then, Lizzie has been actively campaigning to ensure that no parents suffer through what they went through. She wants parents to know the signs of meningitis and immediately take their babies to a hospital if they suspect that their child has a fever just to be safe. Go to the next page to learn more about meningitis! How can I know if my baby has meningitis? Sleepy or staring expression. Difficulty waking up. Shivering uncontrollably or extreme shivering. The most obvious sign of meningitis would be if your child has red spots or a rash. You’ll know it’s meningitis when you try and press a clear glass tumbler against the rash and you can still clearly see the rash through the glass. This means that you should immediately seek help. However, you should never wait to see if your baby gets the rash before taking them to the hospital. If you suspect meningitis, then you should immediately take your child to the hospital so that they can receive the appropriate care. Director and mum of three Farah Khan lashes out at the new Surrogacy Bill. Here's why!